Teachers, here’s a month-long menu of alphabet-themed snacks. Use these for interactive reading lesson plans. Use Alpha-Bits cereal, letter pretzels, cookies for letter shape. Make character sandwiches using any spread and leave open face. 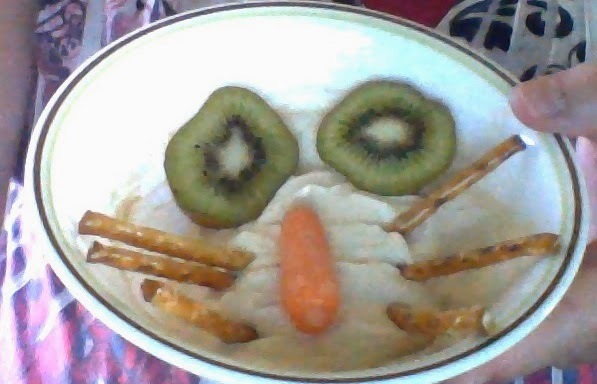 Use pretzels or matchstick carrots for whiskers. For eyes, use Cheerios, spray cheese, raisins, olives, banana or kiwi slices. Make ears, nose and mouth from apple bits, pimentos, pepper pieces, triangle chips or crackers. Use pretzel sticks for legs. For cookie creations, use candy or fruit to make faces.